With our broad mining mineral and metals operational software experience, we can provide consulting services on cost-effective solutions underpinned by our deep domain knowledge. Imperative to us is to help your Mining organization perform at its best utilizing existing assets to maximize production and profitability. We achieve this with you through our powerful combination of unique digital capabilities and extensive experience with OEE industry technologies. Optimum is an asset optimization software purpose-built for any heavy asset-based operation for improved performance. Optimum’s focus is on integrating key operational data, collating, capturing, visualizing and disseminating information in a way that supports rapid, sustained improvement. A software suite with unique industry proprietary offerings that can determine exactly what is required to achieve your goals! We offer a package deal or you can select which combination of our current seven Optimum Modules will work best for your business, as well as the choose the elements within each that are important to you. We believe you should only pay for what you need! Look for the new Metallurgical Accounting module in early 2019! Optimum is a purpose-built software for improving heavy asset operational management and performance. Optimum’s focus is on integrating key operational data, collating, capturing, visualizing and disseminating information in a way that supports rapid, sustained continuous improvement. We offer a package deal or you can select which combination of our current seven Optimum Modules will work best for your business, as well as choose the elements within each that are important to you. We believe you should only pay for what you need! Look for the new Metallurgical Accounting module in early 2019! DO YOU CAPTURE LOSSES AGAINST ACTUAL CAPACITY IN YOUR PROCESS PLANT? You should be! 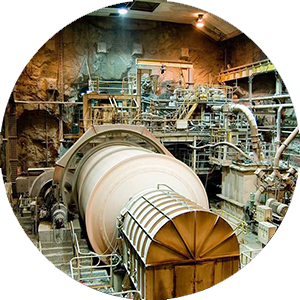 With our full range of software and services you can have real time access to the top ten metal losses in your process plant anytime, anywhere. We can help you with: Theory of Constraints, Asset Utilization, Key Performance Indicators, Digital Value Driver Trees, Overall Equipment Effectiveness, Short Interval Control, Automated Reporting, One Touch Digital, Metallurgical Accounting, Digitize my Excel Spreadsheets, Continuous Improvement and Production Variance Analysis. To do this we can help you with: Mine Operations Systems, Theory of Constraints, Digital Value Driver Trees, Overall Equipment Effectiveness, Continuous Improvement, Production Variance Analysis, Production Management, Asset Utilization, Delay Accounting & Downtime Management, Root Cause Analysis, Critical Process Management and Performance Algorithms. If you're interested in Asset Health Dashboards, Asset Utilization, Delay Accounting & Downtime Management, Critical Asset & Equipment Management, Critical Process Management, Continuous Improvement, Root Cause Analysis, Overall Equipment Effectiveness, and Performance Algorithms, we can help! We can help improve Operational Management by focusing on Asset Health Dashboards, Production Management, Key Performance Indicators, Production Variance Analysis, Critical Asset & Equipment, Digital Value Driver Tree, Automated Reporting, Mine Operations Systems, Metallurgical Accounting, Delay Accounting & Downtime Management, Root Cause Analysis and Continuous Improvement. We are proven experts in Overall Equipment Effectiveness (OEE) for Mining and Asset Utilization as well as Theory of Constraints applications. 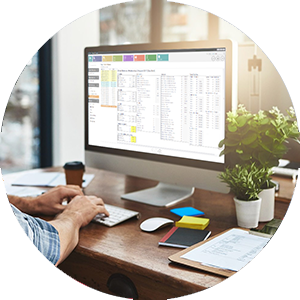 "Easy to analyse OEE production reports are now automatically generated on a daily, weekly, monthly basis describing major losses within the plant and quantifies losses in terms of metal units or dollars. Implementation has greatly assisted in eliminating noise and efficiently improving plant performance." Here's what our customers are saying about us. We take great pride in ensuring the highest standards of customer satisfaction.